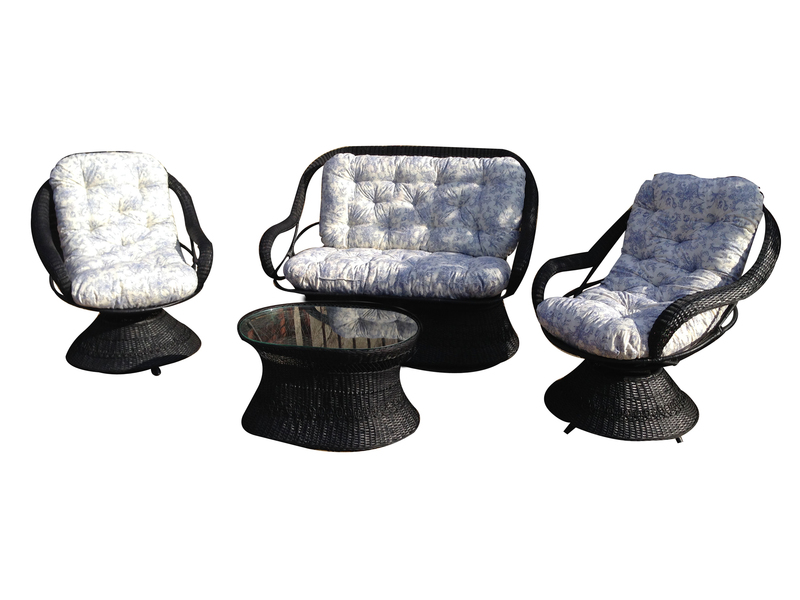 Considered one of the quintessential elements of modern outdoor furniture, wicker (Mimbre) has a long and interesting history. One of the first natural materials to be used for furniture, it was very popular during the ancient Egyptian civilization as a medium for baskets and chairs. The popularity of wicker (Mimbre) was passed from Egypt to Rome and then throughout Europe, as international sea traders carried wicker wares to Great Britain, Portugal, and Spain. 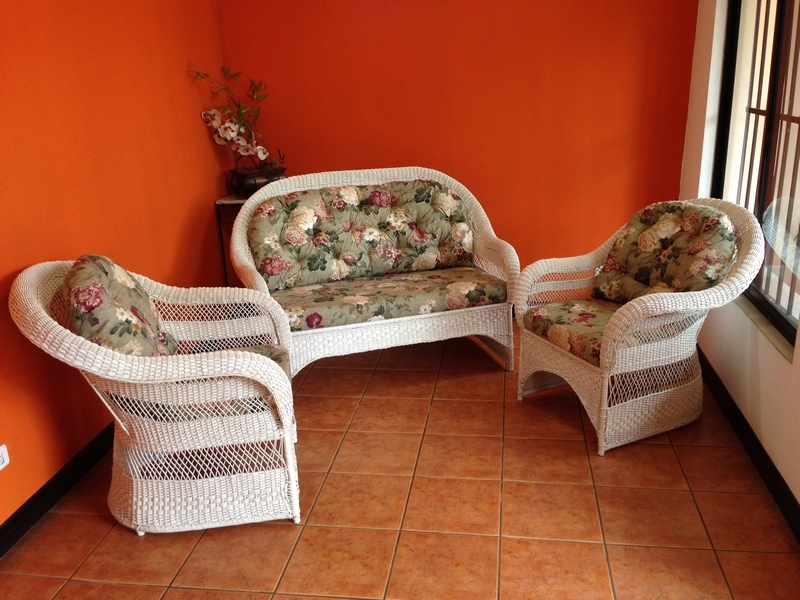 Today, wicker remains a popular selection for outdoor furniture in America and Europe. 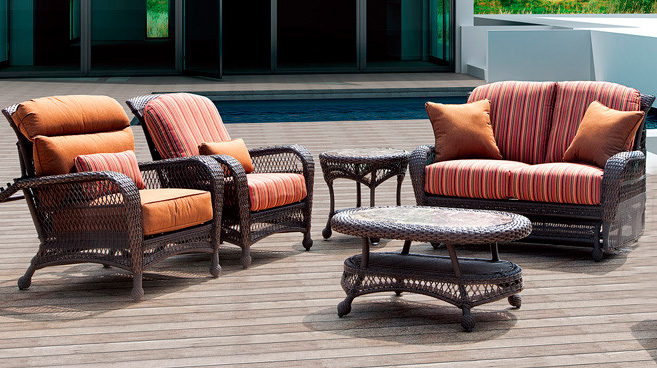 From the classical pieces of ancient Egypt to the modern-day outdoor furniture of America, wicker furniture has survived and flourished through centuries and civilizations. 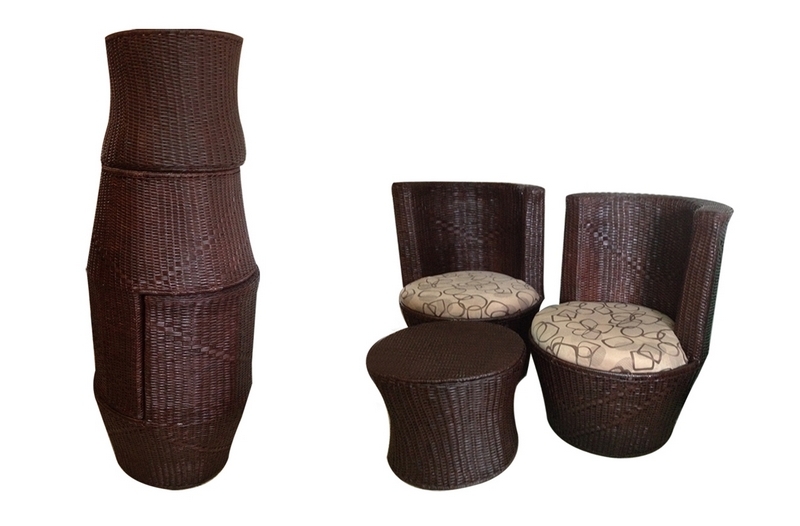 Wicker (Mimbre) furniture began its history in the exotic Egyptian empire of 3000 B.C. While working to uncover the civilizations of the pharaohs, archaeologists have discovered dozens of examples of wicker furniture made from reed and swamp grasses (Saunders 1990). Historians believe these grasses growing along the Nile river were popular material for a variety of furniture in the Egyptian kingdom, including chests, baskets, wig boxes, and chairs. Wicker (Mimbre) furniture items created in Egypt traveled throughout the ancient world and eventually became quite popular in Rome. Appreciating the style and simplicity of this furniture, Roman emperors began utilizing wicker to create their own furniture styles. While wicker (Mimbre) furniture and, indeed, all furniture design declined somewhat during the Dark Ages, it had become quite common in several European countries by the sixteenth and seventeenth centuries. 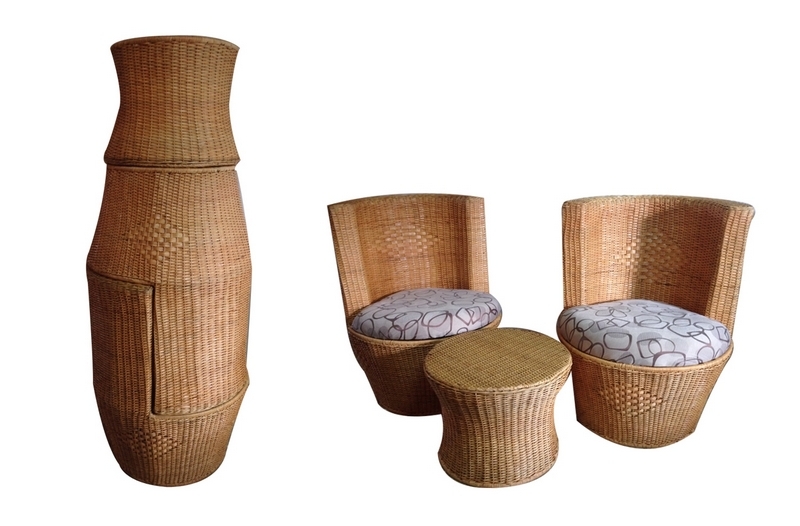 Adventurous sea travelers with an appreciation for ancient Roman culture scattered wicker (Mimbre) furniture throughout Europe, and explorers’ forays into Southeast Asia brought about the discovery and use of rattan, a much sturdier wicker material than reed. By the nineteenth century’s Victorian era in England, wicker had become an important and popular element for outdoor furniture. As lovers of cleanliness, Victorians believed that the raw wicker (Mimbre) was far more sanitary for furniture, as it tended to collect much less dust than upholstered items. Wicker (Mimbre) furniture became popular for use both in the home and in the garden, as its simplicity and flexibility lent itself toward a variety of different furniture styles and designs. While the first items of wicker (Mimbre) furniture came to America with travelers on the Mayflower, it would not experience widespread popularity in the new world until the mid-nineteenth century. Rattan, the most common material for wicker (Mimbre) furniture, was frequently used in this time period to hold cargo in place on trading ships that had ventured to Asia. 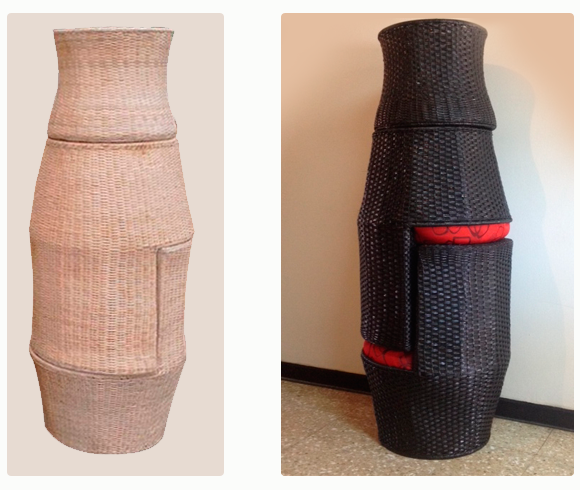 In the early 1850s, Cyrus Wakefield, now considered the father of American wicker (Mimbre) furniture, discovered large quantities of rattan on the shipping docks of Boston and became fascinated by the material. Recognizing rattan’s potential for a variety of purposes, Wakefield began his own rattan importing company in Boston and commenced bringing entire ships full of it into America. 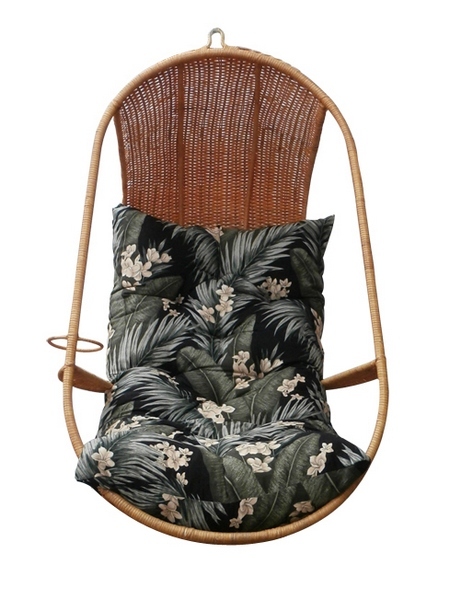 The material became quite popular with basket and furniture makers, and Wakefield himself began constructing his own line of wicker (Mimbre) furniture from rattan. 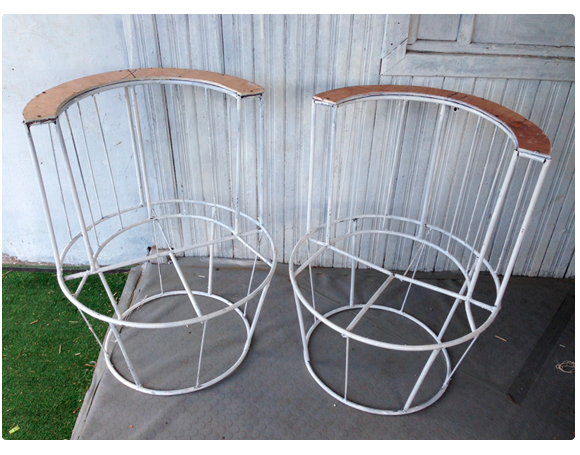 His popular furniture designs soon caught on and his company became the industry leader in wicker (Mimbre) furniture. 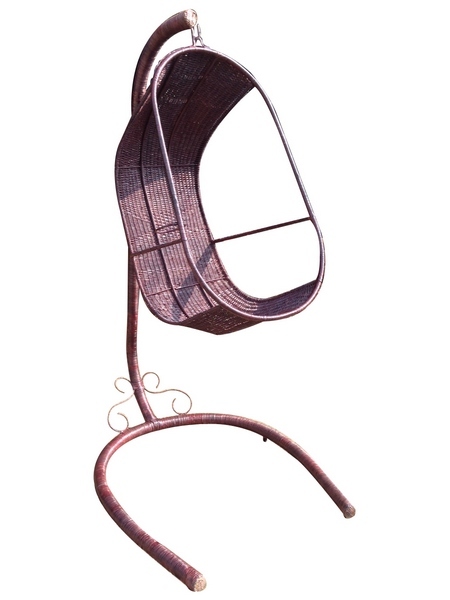 While wicker (Mimbre) furniture proved to be quite popular in the United States for both indoor and outdoor use, the labor-intensive process of weaving the canes into furniture limited its overall production. However, in the late 1860s, an inventor employed by the Heywood Brothers, one of Wakefield’s competitors, created a loom that could automatically weave and install cane seats. 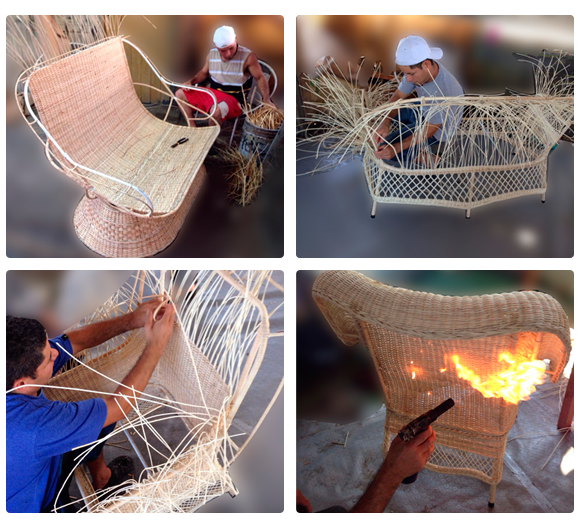 The tool minimized the handwork required in creating a piece of wicker (Mimbre) furniture and greatly reduced the overall production cost. Competition increased rapidly between Wakefield and the Heywood Brothers, as the two companies each sought to produce more quality furniture at a lower price. Eventually, the two leading producers decided to merge, and their combined company completely dominated the wicker (Mimbre) furniture industry until the 1920. Although it had been quite popular during the Victorian era, wicker (Mimbre) furniture began to decline in the public regard by the early 1900s. Furniture tastes had moved toward simple, clean-cut lines, and the style of wicker (Mimbre) furniture was considered too elaborate and flamboyant for most homes. Reacting to this general distaste for Victorian wicker (Mimbre) furniture, Wakefield and Heywood began producing wicker chairs in the popular mission style. However, popularity continued to wane until Marshal B. Lloyd, a competing designer, began producing wicker (Mimbre) furniture from synthetic materials in more simplistic designs. Using synthetic materials greatly reduced the cost of production and allowed Lloyd to sell his furniture for a lower price. Not to be outdone, the Heywood Brothers and Wakefield purchased Lloyd’s company and began producing more cost-effective, synthetic wicker (Mimbre) furniture. The furniture did well for some years, until wicker (Mimbre) again began to lose its appeal in the midst of the Great Depression. The twice-merged company was forced to turn to wood and metal furniture and eventually quit manufacturing furniture completely in 1979. 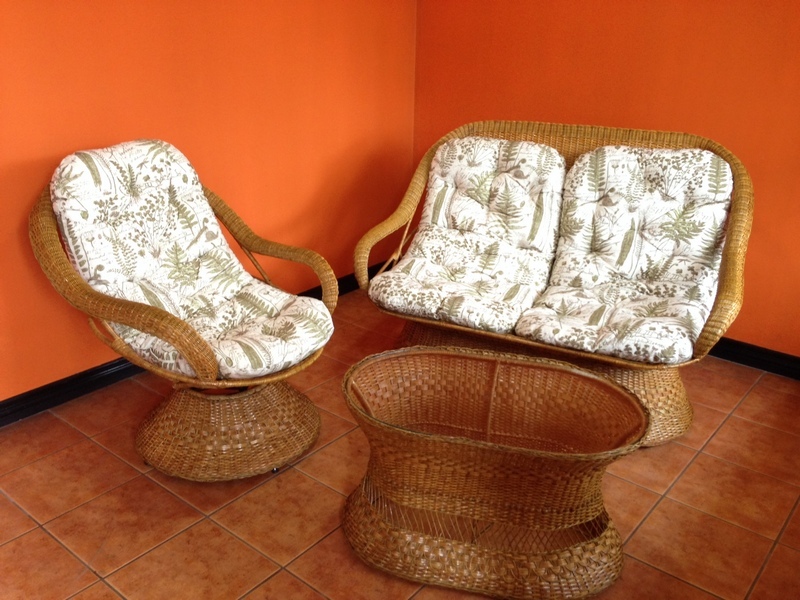 By the 1960s and 1970s, wicker (Mimbre) furniture experienced an increase in popularity as demands for outdoor furniture and appreciation for earlier furniture styles took hold. This renaissance of popularity has generally held into present years, and wicker (Mimbre) furniture–in a variety of different styles using many diverse wicker (Mimbre) materials—and today wicker (Mimbre) Furniture proudly a common sight on porches, patios, and decks worldwide. 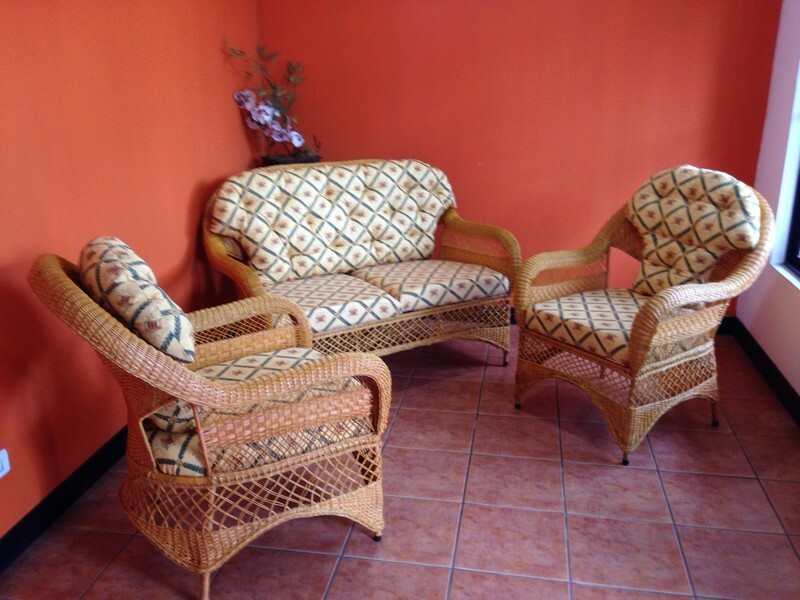 All of our furniture is hand made from the best quality wicker in order to ensure the durability while manufacturing the weaving process and the life of the furniture. Wicker (mimbre) craftsmanship is a process where wicker is carefully woven, uniquely and due to the nature of this product, it is common that separation of color changes on sticks. You can have different finishes, natural or painted, that both look great in any home. 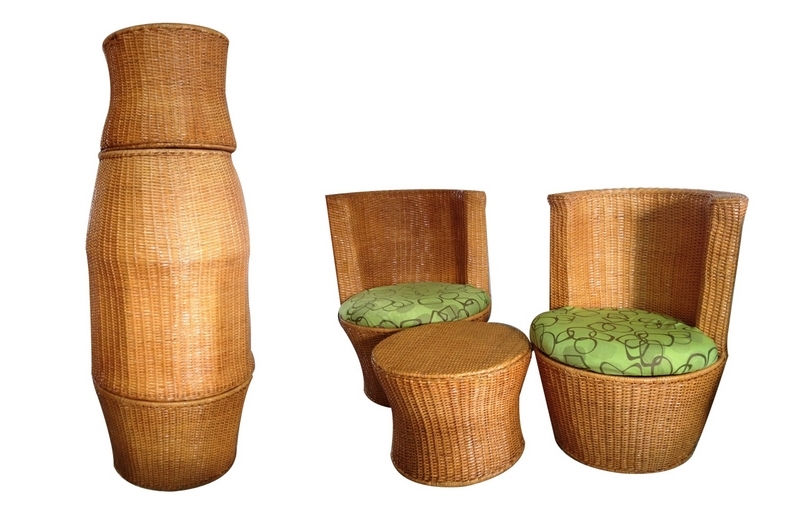 Wicker (mimbre) is among one of the oldest natural materials used for creating furniture. It is very light and can be moved to any corner of the house or terrace the garden can be drawn and when night again kept indoors without any difficulty. Imagine the relaxation and comfort that can offer a piece of furniture like this. 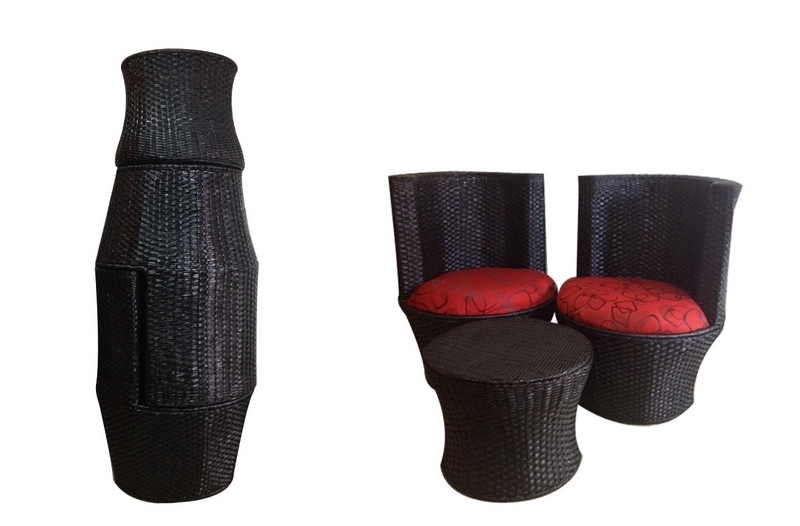 Wicker (mimbre) furniture is considered as the most natural in the world. Are not only fashionable and have a lot of class and elegance, they are also very suitable furniture for any home indoor or outdoor settings. 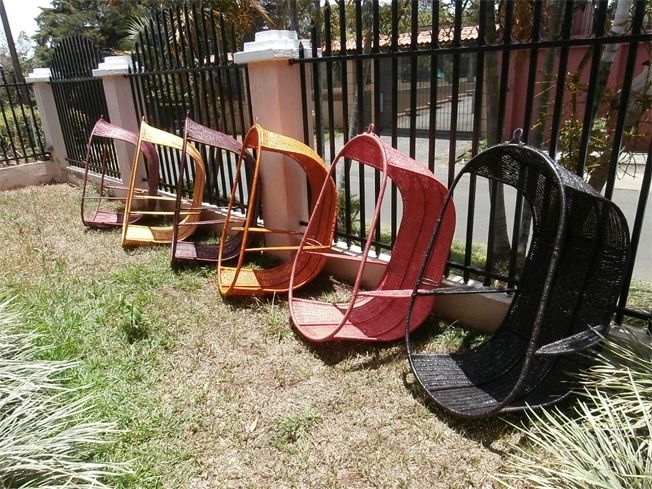 This furniture is the most effective to renew the beauty and natural grace of any style house and last for many years. They are superb detail if used in terraces and either day or night. 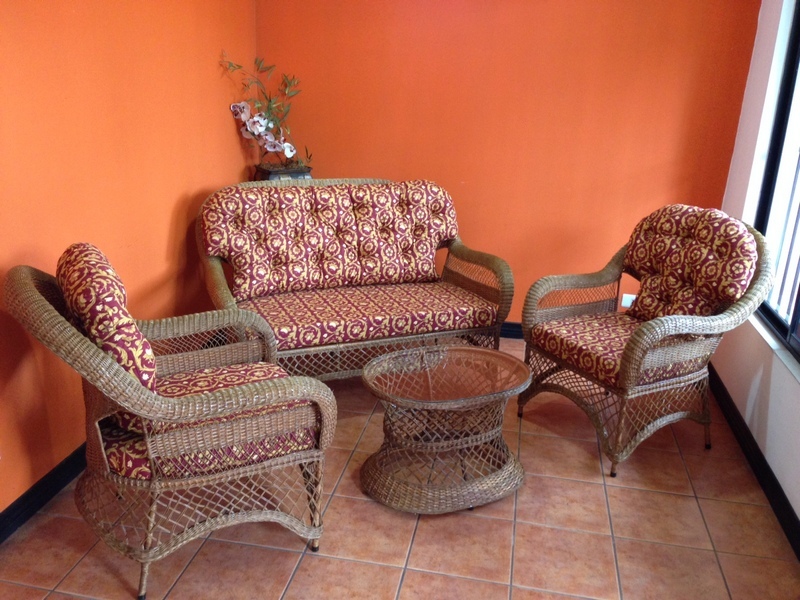 Combine wicker (mimbre) furniture with some home decorations may increase your charm even more. However, you must consider the color. 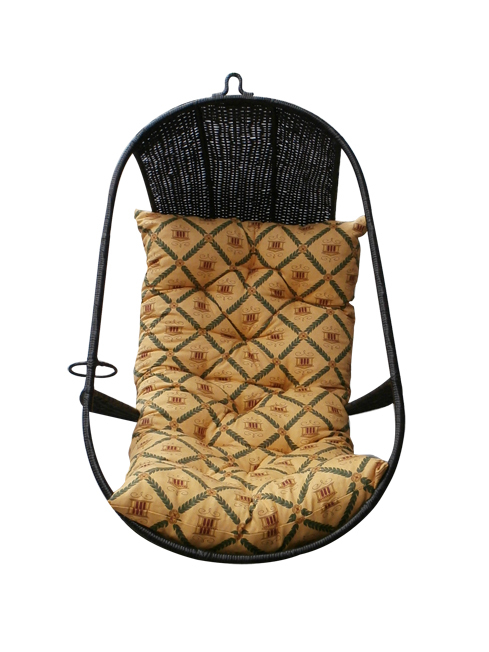 The golden color of wicker furniture goes well with any type of brown ornaments. Exactly the same applies with bright and vibrant colors. They are so flexible; in fact, it is very possible to create different and custom designs and shapes without breaking, Based on your taste, you can choose from our most popular styles and or custom designs are welcome. 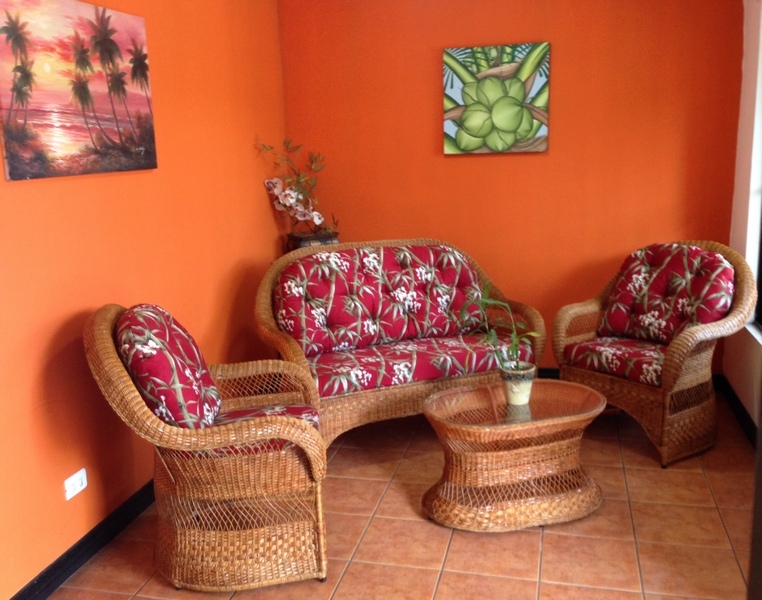 Maintaining wicker furniture requires little effort or time, since they can accumulate dust and stains, but it is also possible to make them look like new in just a couple of minutes. This furniture is very durable, have a life of between 15 and 25 years, depending on a lot of care and routine maintenance you do to preserve its shape and charm. However, last longer than synthetic leather furniture. 1. Steel base structure quality. 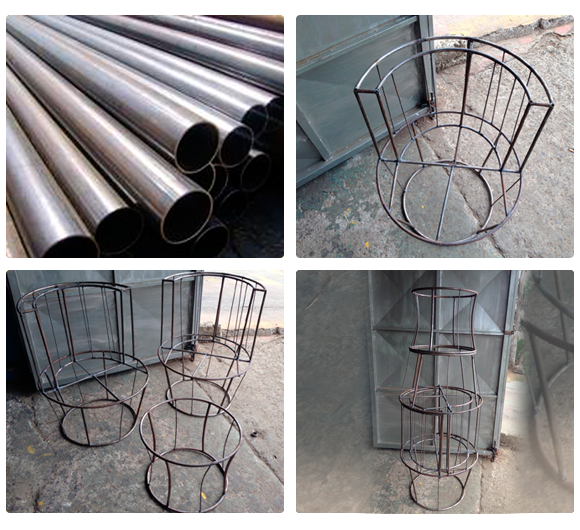 To ensure the Wicker Furniture is built to last for many years it all needs to begin with high quality steel that is utilized in crafting and molding each wicker furniture piece. 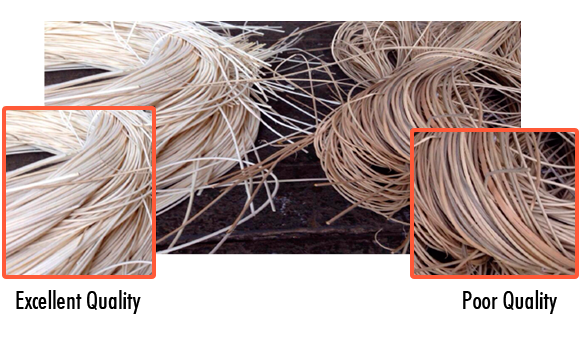 This process is extremely lengthy yet a beautiful, done by Artisans that love what they do and the process is weaving is to use 3 types of strip materials of wicker to be woven strand by strand and worked wet and must be tensioned carefully but not excessively, because when dry , the material will shrink a little and harden. Once the woven wicker is completed the artisan proceeds to carefully sand the rough edges and artfully burn the bits of hard wicker edges as well that were exposed. The wicker furniture is coated carefully with dyes, paints and or varnishes; and is done manually by hand or by spraying with a paint gun.